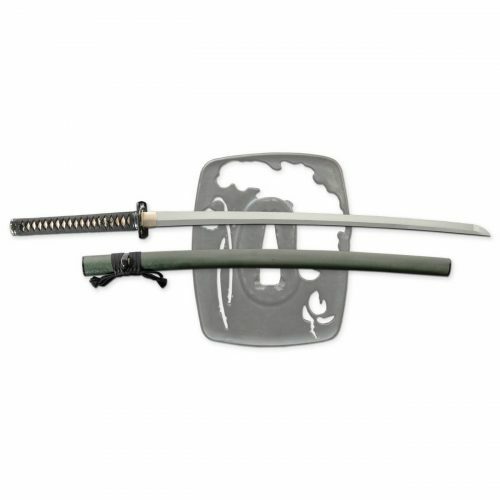 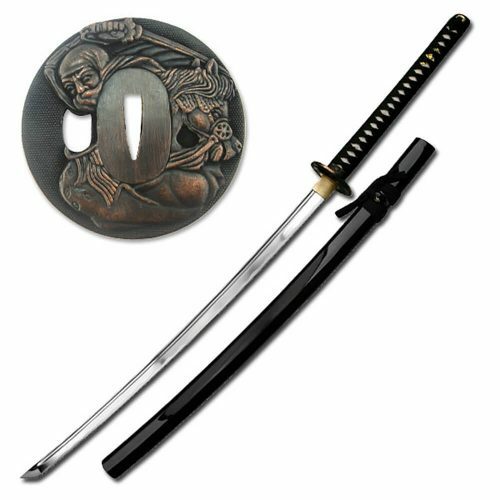 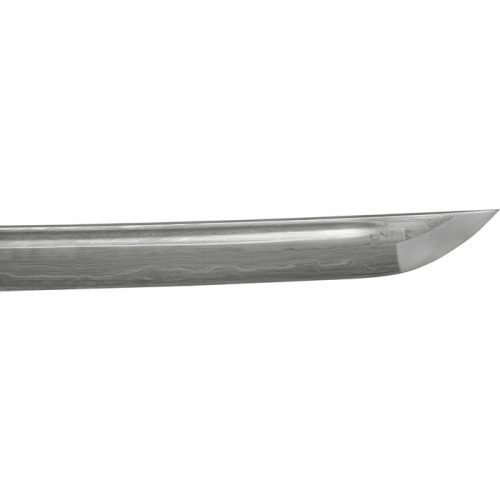 Black Sword Bag Included and Extra Tsuba Included!This Fully Functional, handmade katana from Masahiro features a fully sharpened, full tang, folded, carbon steel blade with bo-hi and beautiful hand engraving on both sides. 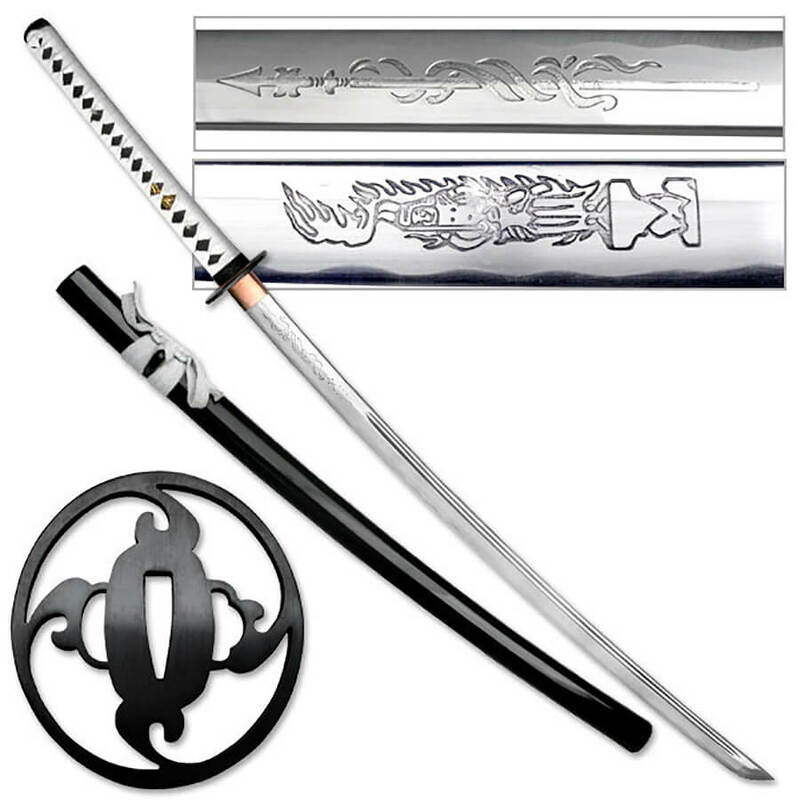 The tsuka has a beautiful white leather wrap. 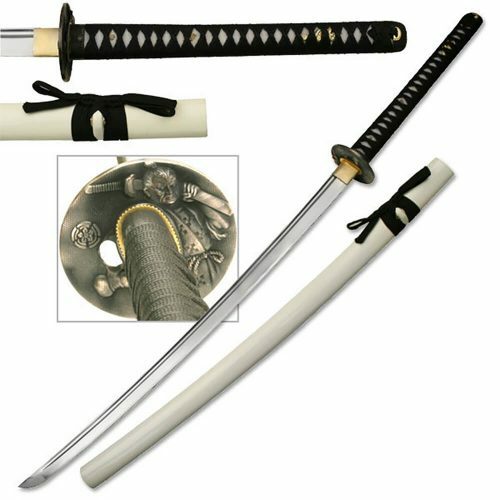 The handle is double pegged and has authentic black same rayskin under wrap. The piano black lacquered wood saya has a white sageo. 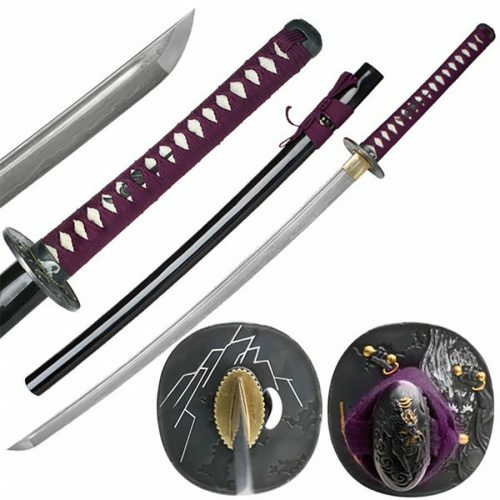 This katana cane be completely disassembled and comes with an extra tsuba.Fully sharpened, hand forged and folded full tang carbon steel blade with bo-hi and decorative etchings.